Robin knew Paul wasn't perfect. But he said they were so lucky to have found each other, and she believed it was true. In the heady strangeness of Morocco, he is everything she wants him to be - passionate, talented, knowledgeable. She is convinced that it is here she will finally become pregnant. But when Paul suddenly disappears, and Robin finds herself the prime suspect in the police inquiry, everything changes. As her understanding of the truth starts to unravel, Robin lurches from the crumbling art deco of Casablanca to the daunting Sahara, caught in an increasingly terrifying spiral from which there is no easy escape. 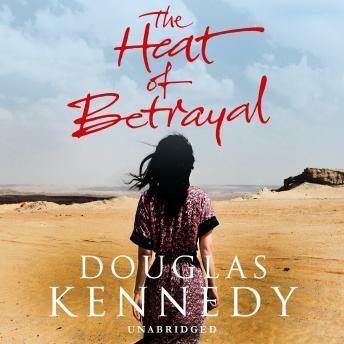 With his acclaimed ability to write page-turners that also make you think, Douglas Kennedy takes the reader on a roller-coaster journey into a heart of darkness that asks the question: what would you do if your life depended on it?